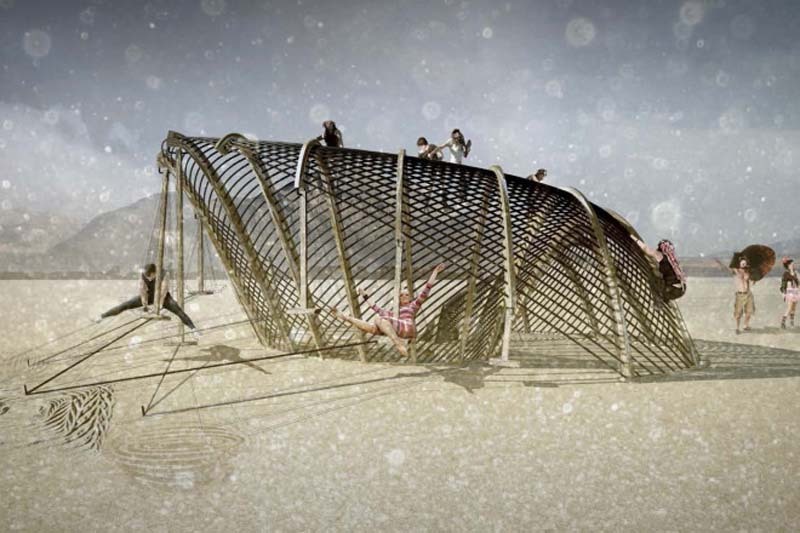 UK-based architectural designer and artist, Dan Dodds, has proposed an installation for Burning Man 2013 titled Near Unison that visualizes the harmonic relationship between two people using a pair of pendulum swings. A prototype of Near Unison, sans the elegant and striking exterior structure, was exhibited at this year’s Kinetic Art Fair. The installation specifically explores the harmonograph — a machine that became popular as a 19th century capable of producing beautiful drawings by mapping the relationship between two swinging pendulums. The oscillation frequency of the pendulums can be changed by modifying their lengths. 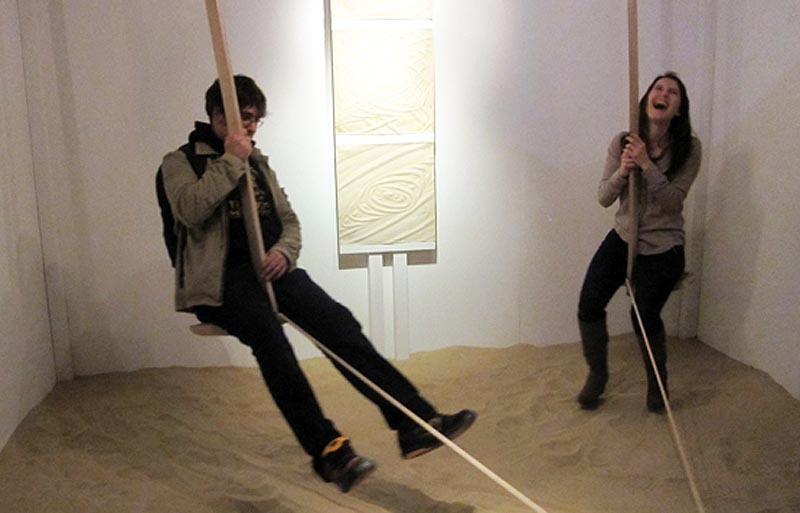 Near Unison acts as a large-scale interactive harmonograph, allowing people to take the place of the pendulum weights, swinging back and forth, creating patterns in the sand that are ‘near unison’ a 1:1 ratio when the people occupying the swings are of similar weight. You can see the prototype in action below and keep your eyes peeled for the even larger version at the next Burning Man Festival in Black Rock Desert this August. Should be fun. This entry was posted in Architecture, Art, Event, Fun, Interaction Design, Just Plain Cool, Stuff We Like. Bookmark the permalink.